There are several ways to buy Heritage or Heritage Cirqa so please contact us to find out which method suits your current requirement. We are very happy to provide a low-pressure demonstration of Heritage Cirqa, either at your site or our Oxford offices. Our policy on sales is to work with you to reach the correct decision, rather than 'sell to you': if we think Heritage Cirqa is not suitable for your requirements we will say so. Our Sales team does not operate under a commission-based salary system, so you can be confident of our commitment to an objective dialogue. If you urgently need a new library management system, but don't have the budget to make the change this year, then perhaps we can help? 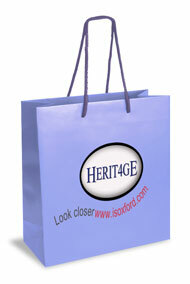 Heritage Cirqa is currently available under a 'buy now pay later' arrangement. Two schemes are available, depending on the type of institution you are in, but there is no interest to pay on either. These schemes are not financed by an external credit agency - the sort that got our economy into trouble in the first place - but from our strong financial position. For more information on the two schemes and which one fits your requirement, contact Emma Duffield, our Sales Manager. Once you have decided that Heritage Cirqa is the system for you, it may then be necessary to go and persuade a manager why it should be this particular system versus others on the market. We produce an information sheet which sets out many of the arguments for you and which you can either use as a prompt or pass on to your manager. Add it to your basket if you think it would be helpful.